WOW!! MTN have launched a new traffic package which is "StartPack" this great plan gives you over 500% bonus on every recharge you make for six months, it seems long right. This doesn't require any MTN plan migration. => You get 10MB on EVERY recharge of N200 and above, but unfortunately, it valids for just 2 days. HOW CAN I GET THE 500% BONUS ON MTN STARTPACK PACKAGE? => Its simple! Just recharge your line with any airtime (no amount restriction) value by dialing *555*digits PIN# and you will be given 500% bonus immediately which will be credited on your line. 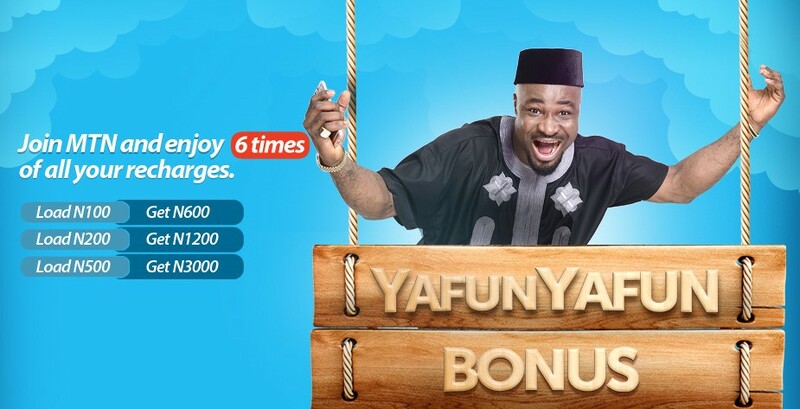 => This airtime bonus expires after 7 days. => Your tariff plan will be automatically transferred to MTN BetaTalk tariff plan after 6 months. => To check your 500% bonus and 10MB bonus balances, just dial this code *559*17#. HOW CAN I RECEIVE FREE 10MB FROM MTN STARTPACK? Whenever you recharge with N200 or above, 10MB will be automatically wired into your SIM card. => This 10MB can be used to browse the internet at anytime until it get exhausted or expired. => The data bonus is valid for 2 days. What do you think about this offer from MTN after seeing the details about this package, did MTN do a nice job or is it a tricky way to get back there customers which which there lost about 6 months ago, it would be the same old stories?